The ricotta in the fridge was on the last day of its shelf-life, so I had to use it quickly. The original plan was to serve it simply with figs and some ham. 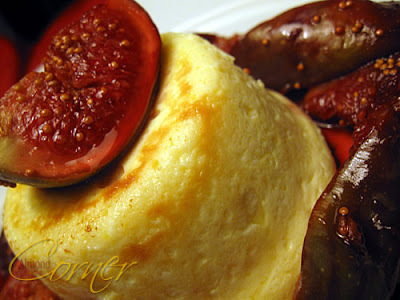 Instead I picked a recipe by Gordon Ramsay: baked ricotta with peaches, well in my case with port wein poached figs. Preheat oven to 200°C. Butter 4 forms and sprinkle with sugar. 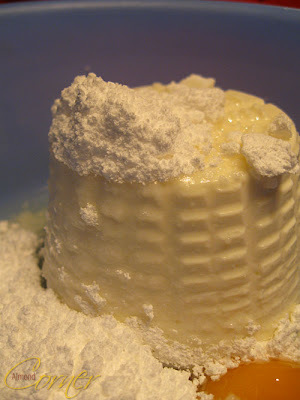 Mix ricotta with sugar, eggs and lemon zest. Fill in the forms and bake for 15-20 minutes. Slice figs, and cook it together with the syrup and wine in a saucepan until the liquid reduces half. A fantastic dessert! An awesome combo! 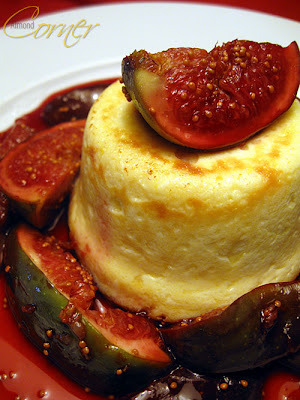 I bet the creamy ricotta paired perfectly with the sweet figs...delicious!